Contact Us for a FREE, Reliable, and Accurate Estimate! Our team can help make the moving process less daunting by giving you a fast, reliable estimate. Fill out the form to the right and a moving advisor will contact you. Please provide date of move, number of rooms, and any other helpful information. The team of four guys: Chris, Jimmy, Tracy and Ryan were wonderful! They were so professional and courteous and careful with my furniture. The day was extra emotional for me because of the circumstances of leaving my house of 20 plus years and losing my husband. The team worked so well together and it was evident they had a lot of respect for one another. I had no stress from the experience. Any question or request I had was taken care of practically before I asked the question. We even had some good laughs along the way. You sent a great crew and it was a great day. I’m all moved in and feeling so happy. Luis and the crew ( Paris and Preston) are spectacular!!! I was very distraught about moving from my home and Luis was able to totally put me at ease within minutes of arriving. The people buying my home were so impressed with how the crew protected the property they will be calling Ridgewood Moving as well. Moving Tips from the Professionals! These tips, based on our decades of experience in residential and commercial moving services, can help take the stress out of moving! Click Here for FREE Moving Tips! 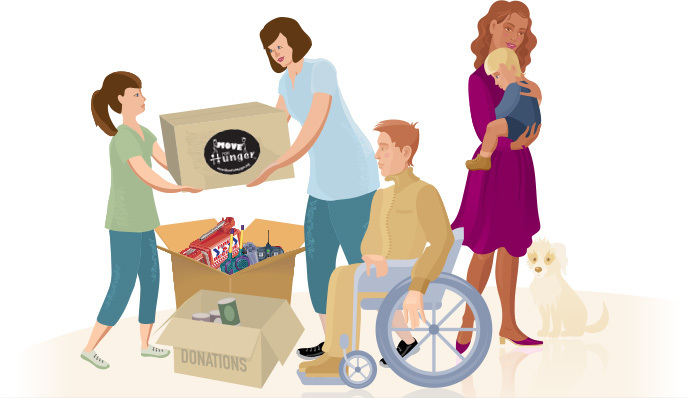 Drawing on her decades of experience in the moving industry, Ridgewood Moving Services President Cindy Myer provides useful tips and guidance to optimize your moving experience. At Ridgewood Moving Services, dedication to community service is part of our everyday lives. We view it as an honor to be able to help our neighbors in need through worthwhile initiatives that help enrich our communities and the people who live there. Click on the links below to learn more. We are pleased to announce our new partnership with Updater. Just one of the many resources Ridgewood Moving Services provides to make your move as stress-free as possible. Being an agent of Wheaton-Bekins World Wide Moving allows us to service your long distance moving needs. Whether it’s just a state away, or across the entire country, long-distance moving requires a detailed plan, including professional packing and wrapping services designed to protect your belongings for the long road ahead and against any inclement weather. Contact us for a list of organizations that could use your donations!